China Tourist visa is issued to those who intend to go to China for touring, sightseeing or visiting friends. It is usually issued for up to 60 days stay per visit and multiple entry valid up to 10 years for US passport holder, while it is usually issued up to 60 days stay per visit but only for single or double entry valid for 3 or 6 months for non-US passport holder. 10 years visa is not guaranteed. Chinese Consulate may issue you a visa with limited entry, shorter duration and validity at their discretion. In order to apply for China Tourist Visa, please prepare and send in your application according to the detail requirement explained below. Photocopy of round-trip flight confirmation. Please highlight your name. Hotel confirmation with applicant name as guest. Please highlight your name. Do not staple them together. Paper clip is fine. If you are visiting someone in China and don't have hotel reservation, please provide an invitation letter. (a) Personal information of the application: name, gender, date of birth, passport number, etc. (b) Information concerning the applicant's visit to China: purpose of the visit, date of arrival and leaving, places to visit, relationship between the applicant and the inviter, and who will bear the cost of the applicant's accommodations in China. (c) Information of the inviter: name of the individual, phone number, address and signature of the inviter. 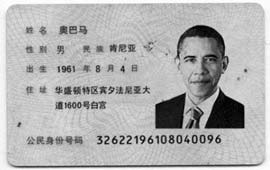 If an invitation letter is provided, a photocopy of inviting person's Chinese Identity card's (Shenfengzhen) both sides is required. If the inviter is not a Chinese citizen, a photocopy of the inviter's passport, together with a photocopy of inviter's China residence permit is required. What kind of flight and hotel confirmation is acceptable? Click for a sample invitation letter. Specify your return address by submitting the service request form online. It's OK that your mailing address is different from your home address. Specify your email address so that confirmation and status update can be sent to you via email during the process. Please include one copy with the documents you ship to us and keep one copy for your record.